Glimpsed through the backwards lens of history, major conflicts seem to unfold in a natural and predictable sequence of events. From the perspective of the future, the events of the past are made certain. It is generally understood that things could’ve happened no other way. But in the hectic pull of the moment the outcome is not always so certain. Competing interests and rivalries struggle for control amidst shifting and uncertain political currents. Old institutions, that seemed beyond reproach, crumble in an instant and are replaced by structures and forces that no one could’ve imagined. Fortunes and dynasties are washed away like pebbles in a tide and new elements are deposited on the shores of history. From what depths did they surface? The massive technical shift of industrialization would lay the groundwork for a challenge to the feudal aristocracy that dominated Europe and the planet before WWI. The old masters of empire, tied to the land and sea by generations of conquest might’ve assumed they would rule forever. And rightly so. But the bold advances of technology coupled with the shifting tumults of power and ambition effectively overthrew the old orders. Old Europe was laid to waste on the battlefields of WWI. Trust and hope in the old ways bled out in the trenches beside the millions of corpses of sacrificial young. The monarchs shrugged and retreated inside their castles. They sensed they would be replaced. New allegiances and power struggles rushed to fill the vacuum. The outcome of WWII would determine who would lead the modern world after the old world had been bombed into decay. But even WWII, taken as a given by many present historians, was not inevitable. After WWI there were peace treaties a plenty and the sentiment of the time was one of exhaustion and trepidation. The treaties would surely last, no one would dare to plunge the world into another series of deadly and exhausting atrocities. The people had lost too much and now they deserved peace and rest. But pride and ambition and the longing for victory are eternal states of human nature. The second world war was even larger than the first. By some estimates 80 million people died in total during this massive conflict. America benefited both from its territorial distance from Europe and its technological triumph in winning the arm’s race. The first and only country to build and detonate a nuclear bomb over an enemy population, America set the stage for a lasting peace. Having glimpsed the horrors of nuclear war, the leading powers set down to negotiate not only a temporal peace, but a method for avoiding massive conflicts in the future. International organizations such as NATO and the UN came into existence. These transnational structures of governance offered the solution of peace, cooperation and lasting prosperity. Optimism prevailed as America led the world in rebuilding. A new generation of entitled elites lost the trust of the populace they promised to serve. Self serving supranational corporations, beholden to no single nations laws, swept up the governments of the world in wealth and corruption. The populations of America and Europe were sold a false premise under the guise of globalization. As developing nations have been offered a taste of modernization in exchange for providing an inexhaustible supply of cheap labor, the standard of living of most Americans and Europeans has declined. The media, governments, and leading economic experts use inflation, fuzzy statistics, and number massaging to fluff up their phony indicators. But for decades the people have felt it slowly slipping away. The election of Trump, which according to the elites, ‘no one’ saw coming, now seems like the first of perhaps many responses demonstrating the people’s displeasure with the present day power structure. Populist and nationalist uprisings are currently spreading across the political spectrum throughout Europe. To those outside of the echo chambers of self interested power, many of these changes seemed not only possible, but plausible and predictable. Still, there remains a sentiment, strongly felt amongst the survivalist community, that the entire system is shoddy and decrepit and may crumble under it’s own weight before things sort themselves out for good. Some welcome this collapse and cheer for it openly. Others live as if the day of reckoning will never come. One thing is certain, preparedness is key. Some of the conditions for WWIII to break out at any moment are already present. Restlessness and dissatisfaction with the present order, a challenge to the old assumptions and institutions, a degree of instability. The feeling permeates that unbreakable bonds and treaties could be easily broken and cast aside any day now. Perhaps WWIII has already started. It’s just that, in our present state, wrapped up in our daily obligations and chasing after fleeting distractions we are temporarily blinded to it’s onset. 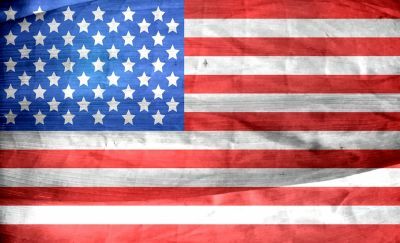 But if some major pronouncement came tomorrow – that America declares war on such and such nation, or that some other nations declare war on each other – we might not be so surprised. As the overlapping forces of treaties, economic interests, and competing loyalties plunged the world into outright disarray, hostility and war, some might not even bat an eyelid. But many would descend into panic and confusion. While no one possesses the crystal ball that can foretell the future, it is possible to examine current trends and situations and hypothesize about the likelihood of WWIII commencing. Here is a list of eleven places and ways that WWIII could possibly break out in our present day landscape. We’ll start by examining probabilities amongst nations but end by looking at the possibility of competing factions within nations, of nationalists vs. globalists, duking it out on the world stage. The virtual territory of cyberspace and the contested frontier of space are also potential arenas for worldwide conflict. The potential for civil war looms presently over the landscape. The liberal elites have lead a bloodless coup in academia and the media in recent decades that has purged most conservatives from the ranks. Conservatives feel wary of expressing their views in public for fear of suffering social, financial and professional repercussions. The constitutional guarantee of freedom of speech seems to be eroding. Trump’s administration is challenged by the ‘Deep State’-led Mueller investigation which takes on the appearance of a slow moving coup. Trump, in his ongoing efforts to ‘drain the swamp’ is seen by many as making war on the entrenched establishment. A bloodless civil war may have already commenced in the United States. Any sudden, drastic actions by either side – Trump firing Mueller and his associates, or Mueller and his allies in Congress attempting to indict or impeach the president – would lead to further hostilities. A forceful removal or attempted assassination of the President could potentially ignite the entire country into outright war. Compared to the prior standoff between North and South, an American Civil War 2.0 might be more ideological with Conservatives facing off against liberals. Practically speaking this might play out as a rural vs. urban conflict. With race relations at a multi-generational low, there is the potential for race based conflicts as well. Were the United States to plunge into infighting and chaos, a hostile foreign force, possibly Russia or China or any other opportunistic and powerful nation could attempt an incursion. There is also the possibility that a supra-national body such as the UN could send in ‘peacekeepers’ to quell the violence and restore order. Any of these scenarios would likely trigger a global conflict of epic proportions. Hardly a day goes by without the international press reporting on a new development in the ongoing conflict in Syria. This has the potential to ignite WWIII because so many forces are already involved. On one side, Israel, the United States, and by proxy the major European powers are lined up against Assad. In a muddled alliance, various remnants of Isis, Al Qaeda, the Free Syrian Army, and other assorted local insurgents (some of whom posed for photo ops with the recently deceased Senator McCain) are aligned against Assad. However, Russia has drawn a firm line in the sand when it comes to supporting the Assad regime. Russia and Syria’s relationship extends back several generations and Russia seems intent on protecting and preserving its ally at all costs. Alongside Russia in supporting Syria’s current government is Iran. This conflict is currently playing out in some regards as a proxy war between arch rivals Israel and Iran. The broader conflict between the United States and its NATO allies and Russia is present as well. This became especially apparent when Turkey shot down a Russian Mig it accused of violating it’s airspace in 2015. Despite Turkish reparations and frenzied diplomacy, relations between Turkey and Russia remain strained. 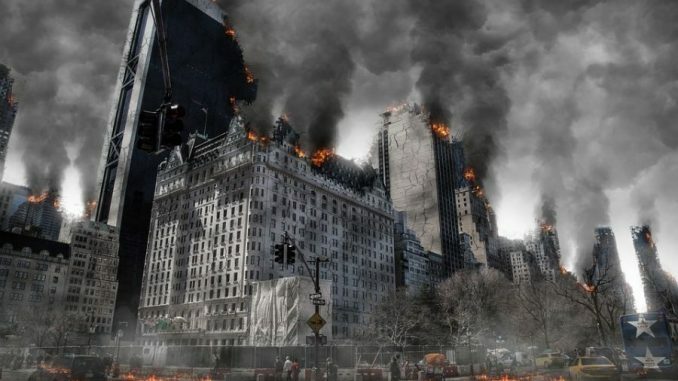 The accidental downing of a U.S. jet by Russians or vice versa could easily escalate this conflict into a global scale. 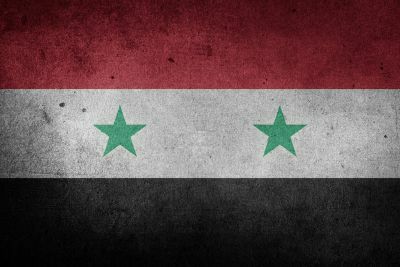 America’s clandestine investment in some of Assad’s adversaries and their direct contact with Russia on the battlefield has the potential for further complications. The East China Sea is a hotly contested area between Japan and China. The Koreas border the East China Sea to the north and the Philippines to the South. Japan and China routinely clash over the accepted territorial demarcations of the area. It serves as an access port to Japan and a massive international shipping lane for oil. A skirmish between Japanese and Chinese fisherman, navigators or military vessels could draw the U.S. into a regional conflict. With N. Korea and Russia aligned against U.S. allies Japan, Vietnam and the Philippines this could easily escalate. 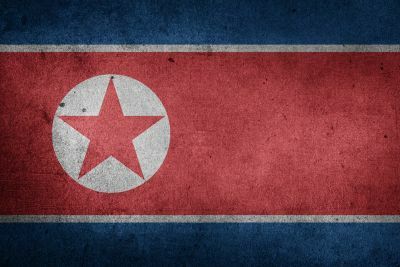 North Korea has a young and inexperienced ruler who is seen as erratic, ambitious, and desperate to prove himself by asserting his dominance in the region. North Korea functions as a proxy of China while South Korea remains a U.S. protectorate. With nuclear weapons at play, and massive civilian populations within shooting distance, the potential for massive destruction bleeding into worldwide conflict is ample. Turkey is a wild card. Relations between Turkey and the U.S. are embittered at the moment. Turkey accuses the U.S. of harboring a religious figure that they blame for leading a coup against Erdogan. Turkey, in turn, refuses to release American pastors charged with espionage. The U.S. has retaliated by taking steps to devalue Turkey’s currency and plunge the country into economic chaos. Turkey is complicated because it is the only Muslim member of NATO. Erdogan is no fan of Israel and is currently bashing the U.S. One imagines that he harbors pride and longing for the Ottoman Empire – when Turkish kings ruled the Mediterranean and by proxy much of the world. If Erdogan and Turkey switched allegiance from NATO to Iran, Russia and China, Europe would have it’s hands full when it came to defending itself. Of course the U.S. would be treaty bound to step in and voila, WWII. Before the British left India, they helped segregate the Muslims into an eastern region and Pakistan was created. With India, a Hindu majority country, bordering Pakistan, a Muslim majority country, the potential for conflict is rife. The source of much of the tension is the contested Kashmir region. The majority of the region is controlled by India with the rest divided between Pakistan and China. Pakistan clearly longs to assert its dominance over this region. The Kashmir locals would prefer to rule themselves. There have been four wars between India and Pakistan in the past 70 years along with many territorial skirmishes and disputes. Both sides have nuclear weapons and are bordered by China. India has a major ally in the U.S. It’s easy to imagine how a war between these two nations could broaden into a U.S. vs. China global conflict. Since the Cold War and the establishment of NATO, Western Europe has been viewed as a unified whole with Eastern Europe and Russia as the antagonist. However it’s worth remembering that Italy was allied with Russia against Britain and France in WWII. 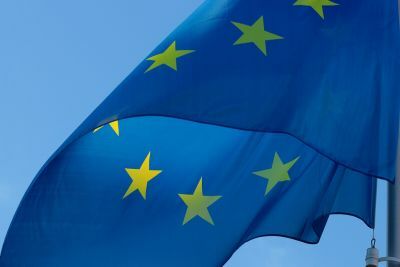 Strong nationalist sentiments in Italy and Russia have recently unified the two countries in informal opposition to the northern globalists who pledge allegiance to the EU in Brussels. With nationalist parties leading Hungary and Poland, it’s not difficult to imagine an alliance of Italy, Russia, Hungary, Poland and Austria versus Germany, France, Belgium and Britain. If Italy were to refuse to accept a single additional immigrant or were to expel its immigrant population into France this would lead to major pushback. A conflict between Italy and France, could fuel the nationalist/EU divide. This type of setup could explode into a classic, European theater, WWIII scenario. With Brexit, Trump, Salvini in Italy and Sweden set to elect a nationalistic government, it’s becoming obvious that people worldwide are in open revolt against globalism. The globalists however, control the institutions and the purse strings. It’s not far-fetched to imagine a global civil war scenario where nationalists face off against globalists in countries throughout Europe and America. This could lead to doomsday scenarios of U.N. led invasions that Preppers and Survivalists have historically considered. Such a scenario might be more accurately referred to as an international secession event rather a World War. Surely it would be just as devastating. The Crusades are still fresh in the memory of global rulers. Many in the Arab world view Israel’s presence in the Middle East as a present day continuation of the crusades. These military conquests often centered around control of Jerusalem. The influx of Arabic refugees amidst the settled Christian populations of Europe is leading to a clash of civilizations. Tensions are high. If a German nationalist insurrection occurred and resulted in the slaughter of hundreds of Arabic immigrants would Turkey or a Middle Eastern nation be tempted to intervene? If a leading Muslim country called for worldwide Jihad in the streets would bloodshed in the capitals of Europe lead to police and eventually military involvement? Could WWIII be triggered by unrest on the ground between Muslim and Christian populations? The experiment of importing millions of middle easterners into European countries seems to be exacerbating hostility and tension. How this historical shift settles out is anybody’s guess. Massive, apocalyptic, civilian involved conflicts that triggers war between nations remains a possibility. The digital realm is the subset for the power grid, the banking grid, and the flow of information and communication. Both state-sponsored and rogue hackers are able to inflict exponential damage to societal systems by utilizing nothing more than keystrokes and ingenue. It is likely that current ‘virtual’ wars are presently underway in Cyberspace with worldwide units of the military and intelligence agencies busily seeking to intercept and dismantle competing systems. One such example of this was Israel’s alleged introduction of the StuxNet virus into Iran’s nuclear operating systems. A hostile power shutting down a country’s electrical grid or other operating mechanisms would have massive repercussions and could trigger a cataclysmic and overt military response. The recent Pentagon report of a mysterious Russian satellite with unknown purpose and unrecognized structural components points to the unfolding militarization of space. This announcement comes on the heels of Trump initiating a U.S. Space Force. Satellite technology, long used to spy on foreign territory and intercept communications, is evolving towards further known and unknown uses. Arming satellites to shoot down or disable competing satellites is a possible step. Using microwave or frequency technology to achieve similar results is another. The Russian’s recently announced that damage to the International Space Station may have been intentional. This raises the possibility of intrigue and subterfuge in outer space. As competing nations assert their control over space and Earth’s surrounding orbit, the possibility of wild, unbridled battle remains. Unlike the terra firm of earth, where borders are drawn and largely agreed upon, Space remains a wide open frontier with contested areas of dominance that will surely breed continued conflict. War feeds a romantic impulse in men. War upends the present order. It allows for heroism, daring, and sacrifice. The heightened intensity of war creates valor, honor, and romantic scenarios between men and women that might not arise in everyday life. Of course the atrocities are well known. 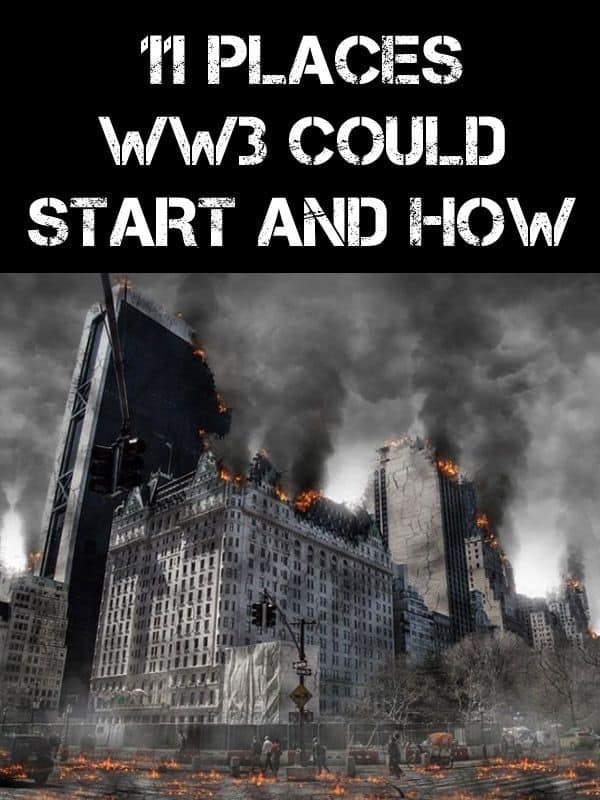 What if WWIII never happens? What if Civil War never breaks out? What if life just drags on and we transport ourselves between our somewhat tolerable jobs and our somewhat tolerable home life and never distinguish ourselves or escape from the doldrums? What if the slow grind of bureaucracy muddles on and people increasingly medicate themselves until they are quietly pensioned off into retirement communities? Is that the goal of Peace? War and peace alternate throughout history. War brings both heroism and horror and peace brings stability and prosperity but risks dragging on into boredom. It’s worth looking into the role that boredom and frustration play in instigating conflicts and how much of a role those conditions may end up contributing to a possible breakout of WWIII. ahem, I think you mean “Italy was allied with Germany…”, Yes? The ingénue is a stock character in literature, film, and a role type in the theatre; generally a girl or a young woman who is endearingly innocent and wholesome. the Pentagon’s embarrassment that they are breaking international law by flaunting an international treaty that forbids creating a space force. So they have to make up a spurious excuse about some Russian satellite but without any substantive details.